Born in Chile and having moved to Switzerland as a child, Alejandro Reyes could barely imagine himself becoming an artist because of him not having a left hand since birth. 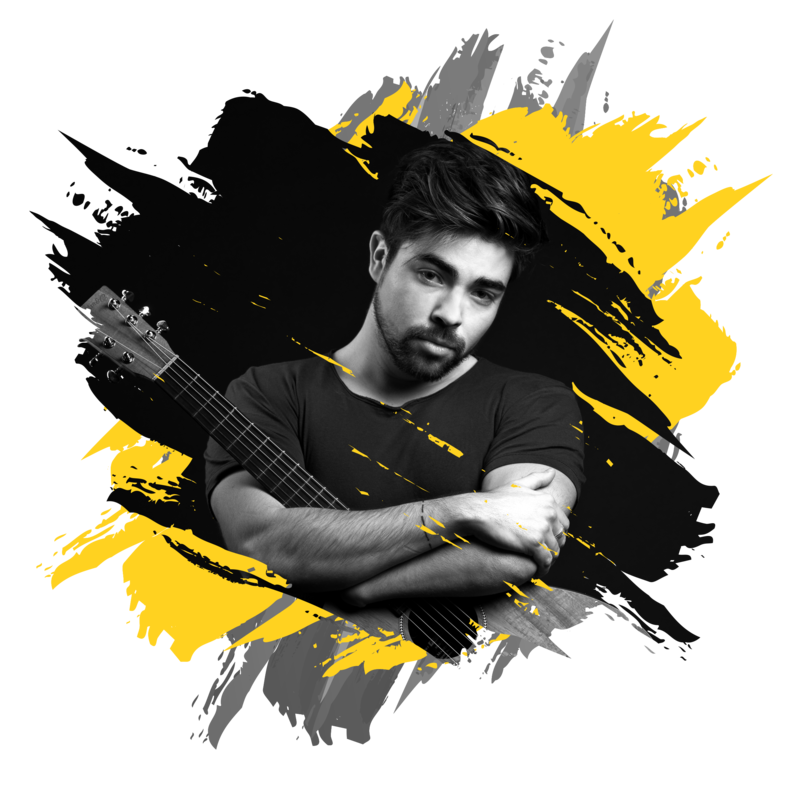 Yet, a passion for music, a naturally charming voice and an incredible will power led him all the way up from playing the guitar on the streets to performing on Europe’s biggest stages, TV and radio channels. A native of Quilpué, Chile, Alejandro was born in 1992. Self-taught, he started his career singing on the streets of Switzerland at the age of 18 and was soon after spotted by the major media outlets of the country. In little time, Alejandro made it to the Montreux Jazz Festival in 2013, and then to the Voice show, aired on TF1 in France in 2014. In 2015, Alejandro aimed for new heights and successfully reached them when he performed for a crowd of 80,000 people at the Bern Stadium and opened for Johnny Halliday at the Arena de Genève. His debut album was released the same year by HitMill Records, and became a breakthrough hit in the music industry in Switzerland. His singles “The Only One” and “Momento” are still aired on Swiss radio stations. In 2017, Reyes signed with The Hana Road Music Group. “Compass” was his first single under the new label and it went viral on the biggest music platforms, hitting over 1 million views within the first month of release. Alejandro has started releasing songs in Spanish that reflects on his current musical direction. His single «Solamente» was picked by such Spotify-curated playlists as EuroLatino and New Music Friday Latin in several countries. The latest song “Loco Enamorado” released with a music video is rotated on the biggest Swiss radio station. Alejandro became an Ambassador of Fondation Etoile filante, and has partnered with such companies as AXA insurance and Coca-Cola Switzerland. At the moment, his is about to release his first EP with The Hana Road Music Group.